Meet Walkie Chalk! A NEW way to play with sidewalk chalk. 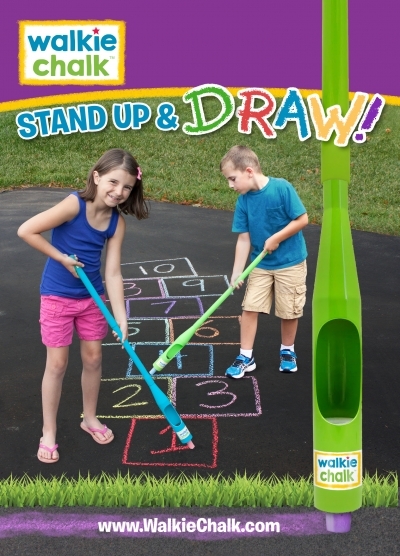 Now, children and adults can Stand Up and Draw! 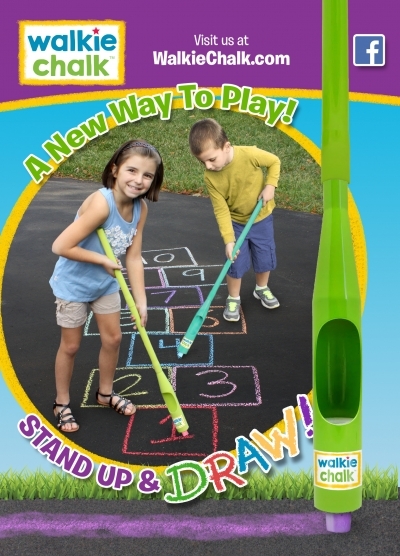 Walkie Chalk LLC is dedicated to making creative toys for the whole family. No mess on the hands! Great idea for those parents who hate messes. Exercise a little more standing, plus being outside instead of at a computer. Thumbs up! Standing up allows the child to draw farther then just sitting or kneeling! Definitely will push the imagination given a bigger area for play! Love this! So fun! A perfect way to plat with chalk without having to sit in it.